Can I start my career with Axiata? The Axiata Corporate Centre only hires experienced professionals. This is in order to play its role as a corporate centre adding value to its subsidiaries, the operating companies. Hence, the entry point for a fresh young talent would be at one of our operating companies, which would be the best place to start one's career in the mobile telco industry. However, as part of your career development, you should have a stint in the corporate centre in the later part of your career. What recruitment programmes do you have for fresh graduates? We aim to recruit a certain number of fresh young talents into our operating companies every year as part of our talent supply through our Young Talent Programme. The recruitment programme has a strict selection process to ensure that we bring in the best people with the highest chances of succeeding in their career progression within the Group. Do you offer internship programmes? Yes, some of the operating companies do. Please write in to apply. What are the types of jobs available? This would range from a network engineer, to a customer analyst or a customer service executive, or a role in sales or finance. You will need at least a 2nd Class Upper Degree. What are the types of training I can expect to receive? Structured leadership development programme with coaching & project assignment during the 12–month programme. Successful applicants will receive a notification. Will I receive a reply from you? Successful applicants will be informed. If I have applied before, can I re-apply to the same or different position? If you have not been successful in a previous application to the Young Talent Programme, then it is unlikely that your application will be reconsidered. However, you can always join us outside the programme if there is a good match of your skills to the vacant position. Can foreign professionals apply for jobs in Axiata Group and its Operating Companies? Typically, there will be a face to face interview with the hiring manager and HR, profiling exercises, and final interviews with one or more of the senior leadership team as appropriate to the role. 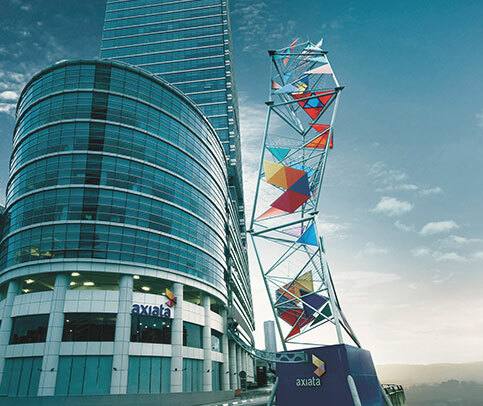 What is Axiata Group's work culture like? Axiata believes greatly in a high performance culture, to which the right compensation will apply as per performance levels. The other aspect that we hold dear to our hearts is a culture where integrity is upheld at all times. What types of training can I expect to receive? Functional training & leadership development programmes.